When we work too much or too hard, our bodies will begin to show signs of difficulty in coping. We become tired throughout the day and start to find it hard to concentrate at work. If we persist and do not take some time off to rest, we may eventually develop the symptoms of chronic fatigue. And while chronic fatigue may seem like a small issue at first, it is by no means as such. The common symptoms include headaches, insomnia, muscle spasms, joint pain and poor body coordination, just to name a few. 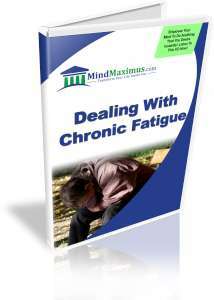 For those suffering from chronic fatigue, just getting through the day can be a challenging task. Do you constantly find yourself feeling drained throughout day, yet unable to sleep well at night? Are you so consumed with work that you just can’t seem to find the time to rest and recover? Do you wish to supercharge your energy and vitality to become more focused and productive? Would you like to be able to work hard and not feel the mental and physical strain that you’re feeling now? 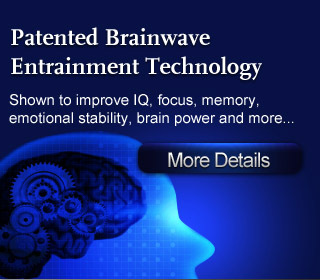 Today, with the latest Brainwave technologies we are able to influence our erratic and stressful brainwaves to help us become more relaxed, focused and in-control of our lives. You will be able to enjoy deeper, most restful sleep and boost your immune system for a healthier, more productive life! No reviews on F09 Dealing With Chronic Fatigue so far.